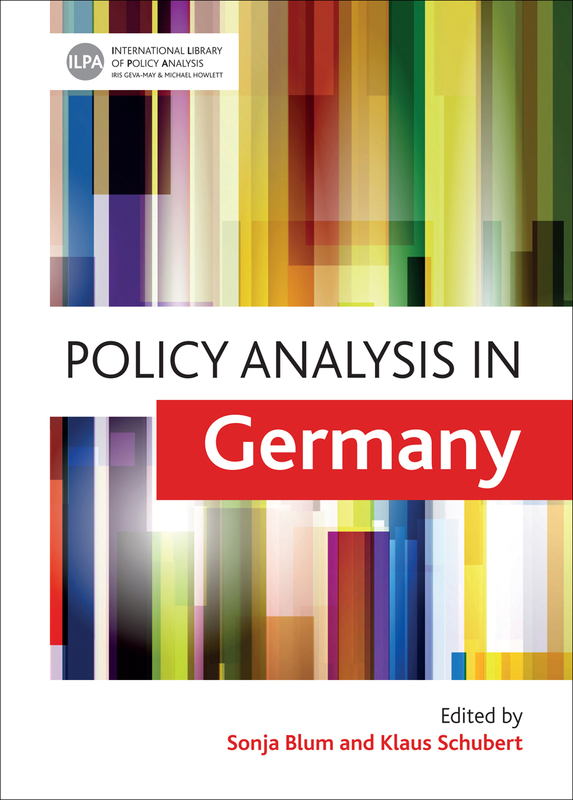 The first systemic overview of policy analysis in Germany, this volume traces the development of the discipline, identifies its role in education and research, and analyzes its methods. The contributors—many of them leading scholars and practitioners in the field—assess the role of policy analysis in institutions ranging from governments and political parties to interest groups and private organizations. Broadening current perspectives, this inaugural volume in the International Library of Policy Analysis series will make a significant contribution to debates surrounding the future of the discipline in Germany. 4 Professionalisation of policy analysis in Germany: on the way or faraway? 11 Parliamentary in-house research services and policy making in Germany: Sancho Panza or David’s sling? 12 The German Bundestag and external expertise: policy orientation as counterweight to deparliamentarisation? 15 Public interest groups and policy analysis: a push for evidence-based policy-making?